After hearing that Utah Legislators had lifted the Utah University ban against students carry concealed weapons on campus, Dr. Piazza, the Founder and Director of Front Sight Firearms Training Institute near Las Vegas, Nevada wants every law-abiding, full-time university student to have the opportunity to attend Front Sight's Five Day Armed Citizen Course and Piazza is willing to pay the $2,500 course tuition for each student. When asked why, Piazza stated, "I have always tried to lead by example so I am personally supporting the wise decision of the Utah Legislators. If our university students are old enough to fight for our freedom and die in Iraq with a machine gun in their hands, then with Front Sight's responsible training under their belts, they are certainly old enough and intelligent enough to carry a concealed handgun on college campuses to protect themselves, classmates, and faculty from the next homicidal and suicidal psych drug failure. I want to give Utah University students the comfort of skill at arms that will forever protect them and those around them. This is the least I can do to be a positive part of the real and immediate solution to stop random gun violence in our academic institutions." Front Sight's Five Day Armed Citizen Course has been hailed by private citizens and law enforcement alike as one of the most comprehensive handgun training courses in the world and results in graduates walking away with all the certification, finger prints, photos and paperwork to successfully apply for concealed weapon permits in Nevada, Florida, and Utah. Due to reciprocity laws, securing these three Concealed Carry Permits will allow a graduate of Front Sight's Five Day Armed Citizen Course to legally carry a concealed handgun in over 30 states in the US. Roland Burk, currently serving and protecting in Utah, is a man who would know. Says Burk, "As a full time peace officer, soldier, and combat veteran, I have received a large amount of firearms training in the last decade. Some of the best training I have received, has not been provided through my law enforcement and military training. Instead it has come at my personal expense, through classes at Front Sight. I have seen Front Sight take someone who has never fired a gun before, and turn them into safe, educated, capable, and proficient, armed citizen. The type of armed citizen who is then able to save dozens of innocent lives." Burk adds, "I believe everyone has the right, and to a certain extent the duty, to protect themselves and those around them." Having previously served for 16 years as a Department Director for Utah State University, Scott Bradley who has also attended courses at Front Sight is delighted and amazed at the incredible opportunity available for Utah university students. Scott Bradley states, "As one who has attended numerous classes at Front Sight, I can attest to the quality and comprehensive nature of the instruction. In every case, I have found the courses to be vastly superior to any instruction I have previously received, including my own military training experience." Bradley adds, "The Utah Legislature has wisely recognized a great truth which has been well understood for centuries: That the right to defend one's self, one's loved ones, and our fellow man is an inherent God-given right-a right that must be recognized and preserved. Dr. Piazza should be commended and recognized for his generous offer of this excellent and potentially life-saving training at no cost to university students. I hope thousands will take advantage of this wonderful opportunity." 1. 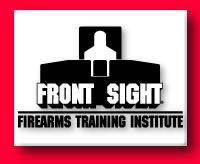 Go to www.frontsight.com and subscribe to Dr. Piazza's free 15 Gun Training Reports and when the subscription thank you page is revealed, order Front Sight's free brochure and DVD. 2. Then go to Front Sight's Course Schedule page and select your Five Day Armed Citizen Course date. 3. Print out the Application for Training page. Complete the Application for Training including the Statement of No Criminal History, Substance Abuse, or Mental Illness. Have someone, other than a family member, who has known you for five years, sign the Character Witness Statement. Supply payment for the Criminal Background Check and attach a document from your university indicating you are a current full-time student taking at least 12 Semester Units of classes. Mail the documentation in Step 3 to Front Sight at least two weeks prior to the Five Day Armed Citizen Course you select and Dr. Piazza will pay for your $2,500 tuition, enroll you in the course and Front sight will e-mail a Confirmation of Enrollment letter to you. Piazza adds, "I sincerely hope we are inundated with university students from Utah attending our Five Day Armed Citizen Course. Today's university students are tomorrow's leaders. I want our future leaders to experience first hand the comfort and confidence that comes having a gun with the skill to use it to defend yourself, your community, and your country. Hopefully other states will follow Utah's lead as Front Sight stands ready to assist them when they do." Senator Bob Beers of Nevada agrees with his peers from Utah and supports Piazza's efforts to train university students to carry a concealed handgun on campus. Says Senator Beers, "Nevada's legislative session has just over one month left, and several Second Amendment bills are still in play. As well, lawmakers' sensitivity to our citizens' responsibilities of self-defense seem heightened. It would be wonderful if Nevada's university students could join Utah's in keeping campuses safe and secure." Dr. Ignatius Piazza | Views expressed in this article do not necessarily reflect the views of Reform America or its staff.